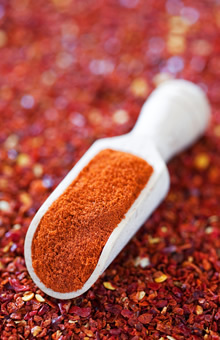 ﻿ The history of Szegedi Paprika ZRt. - Szegedi Paprika Zrt. / About Us / The history of Szegedi Paprika ZRt. The two closed production districts set up in 1934 confirmed the idea that volatile production and profitability figures that are typical of the paprika industry can be counterbalanced by a central cooperative. The idea was followed by actions so on 18 August 1936 the Magyar Fűszerpaprikát Értékesítő Központi Szövetkezet (Central Hungarian Paprika Selling Cooperative) was founded in Budapest. The Szeged branch (Fűszerpaprika Termelők, Kikészítők, Értékesítők Szegedi Szövetkezete – Szeged Cooperative of Paprika Producers, Processors and Merchants) was our first legal predecessor. The company purchased and sold through wholesalers state certified ground paprika produced by the several thousand paprika farmers of the regions. Its first director was Viktor Dank. The forced interruption caused by World War II was followed by reconstruction and nationalisation. Desiccation sheds were built, drying and crushing machines were installed, and cultivation contracts were awarded to farmers to secure the seeds. Dried vegetables, powdered soups and food seasoning mixes were added to our product range in the 60s, and canning was ramped up. In 1989, when market economy was introduced, Paprikafeldolgozó (Paprika Processor) had a staff of 1400. Owners changed several times. The company was a member of the Pick Group for a while. 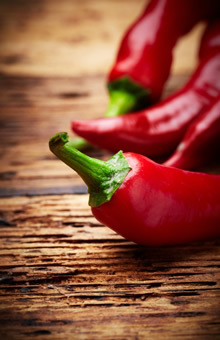 Nowadays it is a subsidiary of the Sükösd-based Házi Piros Paprika Kft. (Home Made Red Paprika Ltd.). We are committed to nurturing the fame of Hungarian paprika in the world, while our domestic canned products are designed to improve the status of Hungarian cuisine both in Hungary and the world market. The traditional core activity of Szegedi Paprika Fűszer- és Konzervgyártó ZRt. (Szeged Paprika Herb and Canned Product Private Company Limited by Shares) is to produce and market ground paprika products. Today ground paprika is produced in our stone mill that boasts both long tradition and, thanks to improvements and investments, cutting edge technology. Ground paprika is marketed in four different grades: különleges (Special Quality), csemege (Delicate), édesnemes (Noble Sweet) and csípős csemege (Pungent Exquisite Delicate). In 2010 the European Commission approved the Protected Designation of Origin title for Szeged paprika. This means that all production and technological procedures ranging from seed production to ground products designed for end users are performed in the Szeged raw paprika production region under controlled conditions. In addition to the production and distribution of ground paprika products, we also prepare and distribute canned products. Our canned products are mostly meat based. Major product families include widely popular liver pâtés, minced meat products, canned prepared food and hot sandwich creams. Due to their diversity, our products in the Prepared food category are very popular. Our products feature traditional, typical and genuine Hungarian taste. Most popular Hungarian food products include: Pacalpörkölt (Tripe Stew), Pincepörkölt (Cellar Stew), Csárdafalatok (Inn Bites), Tanyasi káposzta (Farm Cabbage), Zöldséges aprópecsenye (Vegetable Meat Roast) and Magyaros bab egytál (Hungarian Bean Dish). In addition to well known and popular products, we continuously expand our product range. The products are preserved using heat treatment. No preservatives are added. Our pâtés are unique primarily because of their exquisite taste and modern, practical packaging. Due to their excellent nutritional qualities they stand out in the crowd of traditional pâtés. Goose and duck liver products feature premium quality. 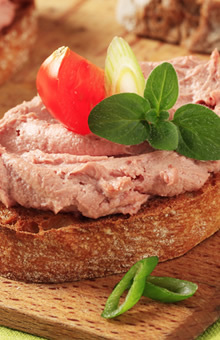 Among our pâtés the UZSI (the short form of breakfast food in Hungarian) pâté range is our most recent product family. They are designed primarily for children but, due to their high meat content, are also perfectly suited for elderly consumers. Thanks to the added sea salt with iodine they are also rich in additional minerals. These pâtés use only natural ingredients which means that they don’t contain additives, artificial colouring agents or chemicals classified under ”E” numbers. Since dietary fibres are vital for a healthy diet and have a number of favourable properties, we usually enrich our pâtés with vegetable fibres. Gluten content is extremely low. During production we also pay special attention to ensuring that our products do not include ingredients causing allergic reactions, such as milk, egg, soya bean, to make their consumption possible for an even wider range of consumers. Our products include premium quality goose and duck liver products, hot sandwich creams and minced meat products. 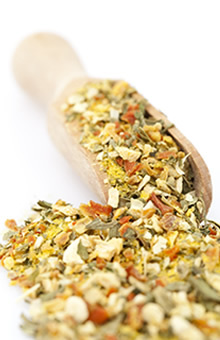 We also produce food seasoning mixes: in 1999 our Boszorkány (Witch) brand received the “Kiváló Magyar Élelmiszer” (Excellent Hungarian Food) certificate. With ongoing market research and product development we keep introducing new products that meet consumer expectations. In turn, these increase both consumer satisfaction and sales volumes. In Hungary the products of Szegedi Paprika ZRt. are distributed by nearly all multinational and local commercial networks. We export a significant portion of our products to neighbouring countries. In addition to the production of traditional products, our company is also committed to continuous renewal. We regard challenges as new opportunities. In addition to securing the constant high quality of ground paprika products, we endeavour to win and keep the satisfaction and confidence of our partners by offering a wide range of canned and prepared meal products and meeting the need of consumers for a healthy diet.